After teasing its first iOS controller that would work with Apple’s new MFi standard for game controllers, today we get what appears to be an official press shot of Logitech’s upcoming gamepad for iPhone that first leaked at WWDC earlier this year (via @evleaks). We noticed that Logitech left space for the rear camera, which is nice for augmented reality apps and other games that utilize the iPhone’s camera. Apple will offer 2 types of game controllers through its MFi program and two configurations all with pressure sensitive buttons and consistent layouts. The first type of controller is the form-fitting controller (much like Logitech’s above), which allows your iOS device to be docked right into the controller. 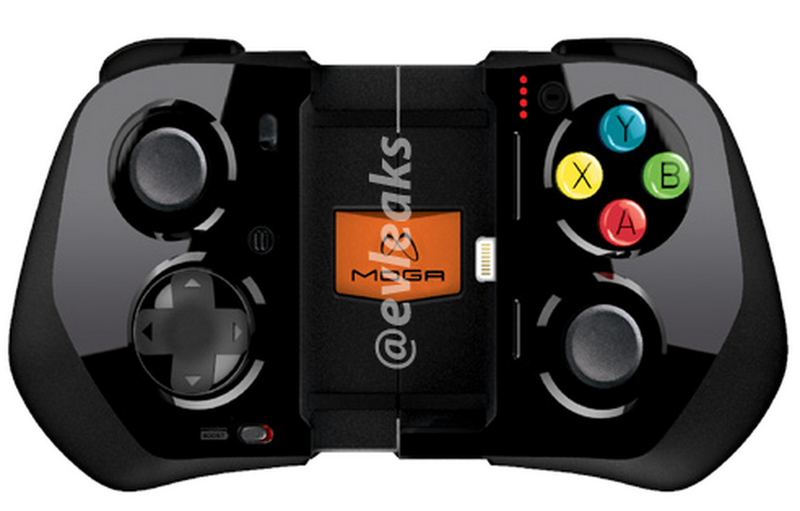 The second will be a standalone controller that connects over Bluetooth. Above we’re looking at Apple’s standard layout, but there will also be an Extended layout for MFi controllers that adds dual thumbsticks and an extra set of shoulder buttons. Above and below we might be getting a look at teasers for the first gaming controllers that will take advantage of Apple’s new MFi game controller frameworks. The first, above, comes to us from ClamCase. The company posted the teaser above for what appears to be a new controller, dubbed “GameCase”, that would attach to both an iPhone and an iPad (an iPad mini, at least). We spoke with the company who told us that the new controller would indeed follow Apple’s new MFi standards for game controllers. Remember back in May when Clamcase said they’d ship their (awesome-looking) product in the Fall? Guess what tomorrow is? Winter. That means today they are finally releasing their Clamcase iPad case/keyboard. It works via Bluetooth and is available for $120.